Laurie is CCO and VP of Finance at BPEA. She is responsible for all aspects of BPEA’s compliance program as well as the oversight of the firm’s cash activities and investor reporting. Laurie has been with BPEA since the Firm’s inception in 2002. Prior to becoming VP of Finance, Laurie was a senior accountant at BPEA and was responsible for the preparation and distribution of quarterly fund financials, all daily cash transactions, and accounts payable. 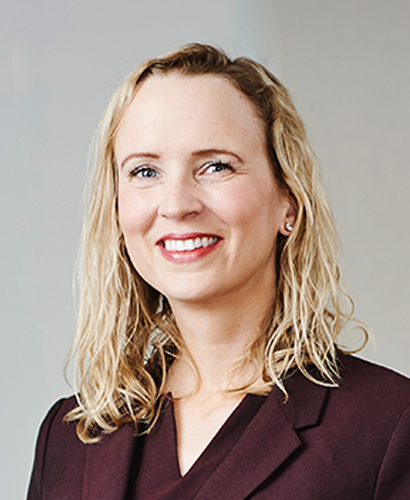 Laurie began her career in the venture capital/private equity industry while working toward her undergraduate degree as an assistant to the principals and the CFO of Boston Capital Ventures, a venture capital firm. During that time, Laurie assisted with the formation of BPEA. At the inception of BPEA, she was responsible for the administration and daily operations of the firm. Laurie received a BS in business administration with a concentration in finance and an MBA from Boston University’s Questrom School of Business.